Google recently announced they are using a “neural matching” algorithm to better understand concepts. Google’s Danny Sullivan said is being used for 30% of search queries. Google has recently published a research paper that successfully matches search queries to web pages using only the search query and the web pages. 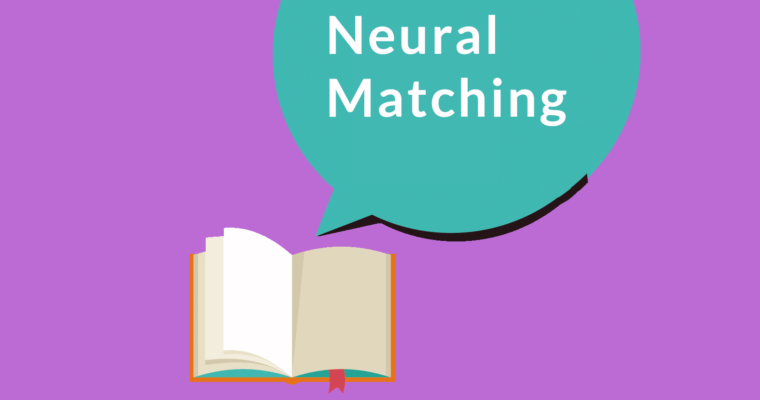 While this algorithm may not be in use, or maybe used as part of a group of algorithms, it does serve as an example of how a “neural matching” algorithm could work. Does Google Use Published Algorithms? Google does not always use the algorithms that are published in patents and research papers. However, an indeterminate number of published algorithms are indeed used in Google’s search algorithms. It must also be stated that Google does not generally confirm whether a specific algorithm is in use. Google has in the past discussed algorithms in general terms, such as the Panda algorithm and the Penguin Algorithm. 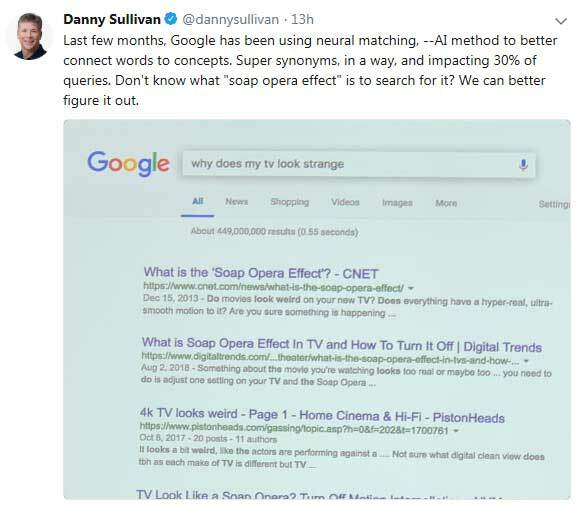 And this seems to be the case today, as Danny Sullivan drops clues as to this new “neural matching” algorithm. Google’s Danny Sullivan discusses Neural Matching. 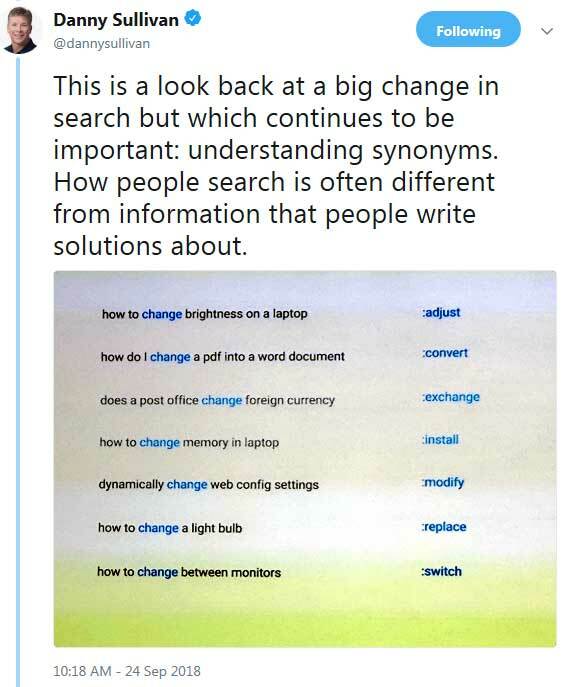 Danny Sullivan tweeted a screenshot showing how words have different meanings. Google’s AI Blog recently published a link to a new research paper called, Deep Relevance Ranking using Enhanced Document-Query Interactions. Although this algorithm research is relatively new, it improves on a revolutionary deep neural network method for accomplishing a task known as Document Relevance Ranking. This method is also known as Ad-hoc Retrieval. While it can’t be said definitively that this is a part of what Google’s calling Neural Matching, it makes for interesting research on something that is similar to that. In the above statement, it states that Document Relevance Ranking differs from other search technologies (information retrieval systems) that rely on “network structure” and then it cites Larry Page, which is a reference to PageRank and links. It also cites Kleinberg, which is a reference to Jon Kleinbergs research on using links to rank web pages. It is clear that Document Relevance Ranking is a relatively new method for ranking web pages and that it doesn’t rely on link signals. Does Google’s Document Relevance Ranking Not Use Links? The new alorithm that was published in Google’s AI blog doesn’t directly use traditional ranking factors. However, traditional ranking factors are used first. Then the Ad-hoc retrieval part of the algorithm is used. The research paper states that it is re-ranking web pages that have already been ranked. This means that whatever ranking signal hoops a web page must jump through in order to get ranked still exist. However, the traditional ranking signals do not determine what pages will rank in the top ten. So it could be said that traditional ranking signals serve a sort of vetting function. The ranking signal removes the spam and collects the most relevant documents. And this use of ranking signals first is what makes this algorithm different than the one published in 2016, referred to as a Deep Relevance Matching Model (DRMM). “In the interaction based paradigm, explicit encodings between pairs of queries and documents are induced. This allows direct modeling of exact- or near-matching terms (e.g., synonyms), which is crucial for relevance ranking. 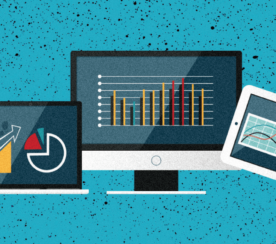 What Does the Algorithm Actually Do? Does this mean publishers should use more synonyms? Adding synonyms has always seemed to me to be a variation of keyword spamming. I have always considered it a naive suggestion. The purpose of Google understanding synonyms is simply to understand the context and meaning of a page. Communicating clearly and consistently is, in my opinion, more important than spamming a page with keywords and synonyms. It’s possible that neural matching has elements of this algorithm mixed with elements of other algorithms. 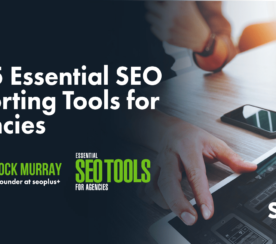 Whether Google is using this exact algorithm is less important than understanding that ranking documents using only the search query and the web page content is possible. Understanding this will help publishers avoid spinning their wheels with unhelpful strategies like adding synonyms. This new kind of AI ranking shows how it’s possible to generate search results that are not directly ranked by traditional ranking factors like links or keywords. And this demands closer attention to things like user intent and understanding how a page of content helps a user.